Artistry and innovation are drawn together in the new Laura Mercier Longwear Lip Liner that inspires and creates lips that are works of art. Drawing on the traditions of fine artists and illustrators Laura Mercier, a painter herself, designed this liner to deliver the ultimate control when making fine lines and filling in the lips with color. It's the perfect accessory to the NEW Rouge Essentiel Silky Crème Lipstick. This richly textured, longwearing lip liner in a sleek pencil form, outlines, defines and enhances the natural shape of lips. 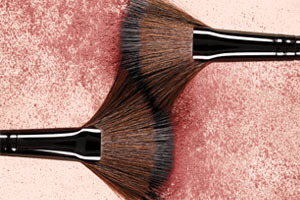 Its unique texture is firm enough to draw a precise thin line, yet soft enough to blend and wear alone for a matte finish. The creamy formula glides on smoothly and comfortably, and is an indispensible artistry tool to prolong the wear of your favorite lip products. It keeps lip color in place to prevent bleeding, feathering and collecting in corners of lips throughout the day. 20 shades offer a spectrum of expressions and draw attention. Sharpen lip liner to a point and line the outside of lips prior to applying lip color. Fill in lips if desired. C10-18 TRIGLYCERIDES, TALC, HYDROGENATED VEGETABLE OIL, CAPRYLIC/CAPRIC TRIGLYCERIDE, SYNTHETIC JAPAN WAX, BHT,PROPYLPARABEN, METHYLPARABEN. MAY CONTAIN/PEUT CONTENIR/(+/-): TITANIUM DIOXIDE (CI 77891), IRON OXIDES (CI 77491), IRON OXIDES(CI 77492), IRON OXIDES (CI 77499), RED 7 LAKE (CI 15850). Ingredients C10-18 TRIGLYCERIDES, TALC, HYDROGENATED VEGETABLE OIL, CAPRYLIC/CAPRIC TRIGLYCERIDE, SYNTHETIC JAPAN WAX, BHT,PROPYLPARABEN, METHYLPARABEN. MAY CONTAIN/PEUT CONTENIR/(+/-): TITANIUM DIOXIDE (CI 77891), IRON OXIDES (CI 77491), IRON OXIDES(CI 77492), IRON OXIDES (CI 77499), RED 7 LAKE (CI 15850).